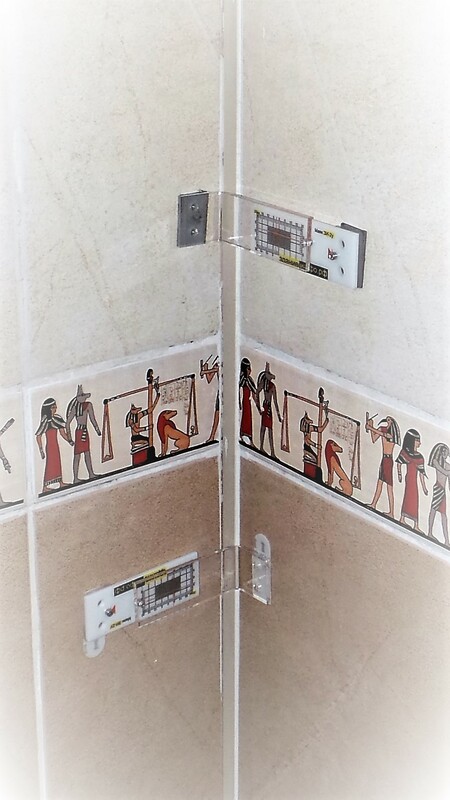 Corner tell-tale (crack monitor) is needed when monitoring cracks located in the corners of structures – in the junction wall – wall, wall – ceiling or wall – floor, etc. 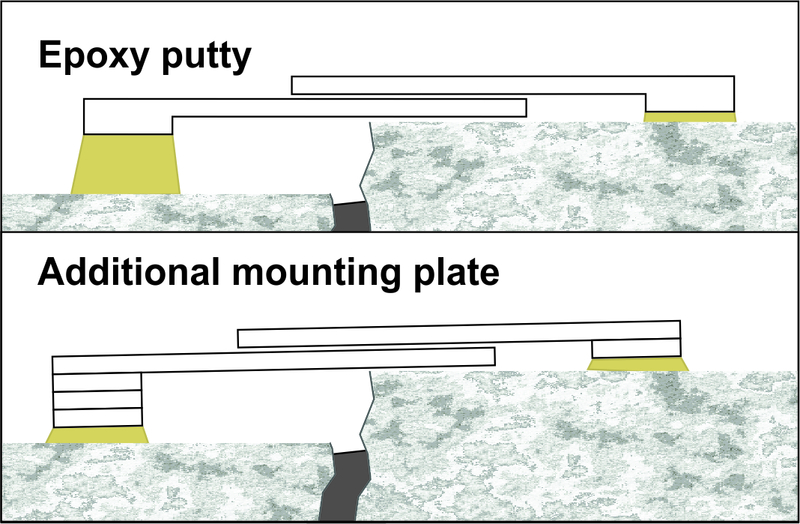 Ordinary crack monitors (learn more about what crack monitors are) in such places is difficult to use – additional devices are required. Corner tell-tale installed in the corners is much easier. But you should know some features. There are several of the most important features of using corner tell-tale (crack monitor), which we will discuss below. Why is pair installation corner tell-tale recommended by all as the most correct? Figure 1 shows the possible trend of movement of the crack, depending on its location. In many cases, it is not precisely known how exactly the crack propagates in the structures. We can only assume if there are no obvious signs. And if you install the monitor incorrectly, it will not respond to changes in the state of cracks. Installation of two corner tell-tale allows to eliminate this problem. 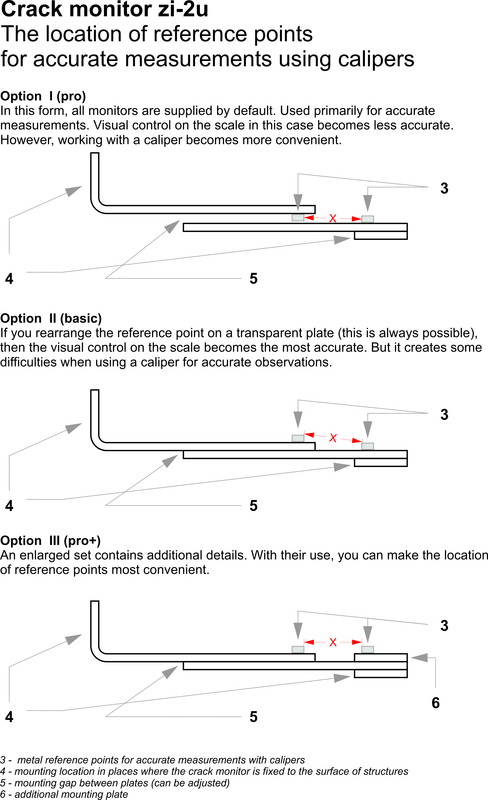 But do not forget that crack monitors should be installed in different directions, as shown in Figure 1. You rarely see a perfectly right angle of 90 degrees. Also, the installation conditions of the crack monitor are not ideal. The specialist may experience other difficulties in their work. But modern materials come to the rescue. If you use an epoxy putty to mount the crack monitor, all difficulties can be quickly resolved. Fast fixing glue, with a consistency, like plasticine, allows you to properly install any monitor, not just the corner. Figure 2 shows two ways to fix surface problems at the monitor installation site. Use different possibilities to properly fix the monitor in difficult situations. measurements. Visual control on the scale in this case becomes less accurate. However, working with a caliper becomes more convenient. difficulties when using a caliper for accurate observations. of reference points most convenient. Thus, you always have the opportunity to customize the tool as needed for the most effective work. For more information about the corner tell-tale (crack monitor zi-2u) click here. This entry was posted in Guidance, News and tagged Corner crack monitor, Corner tell-tale, zi-2u. Bookmark the permalink.